Want a jersey with room to move that shows your support for the Blues? Our 2019 NSW Pro Jersey ticks all the boxes, available in sizes 5XL – 6XL for big and tall Blues supporters. 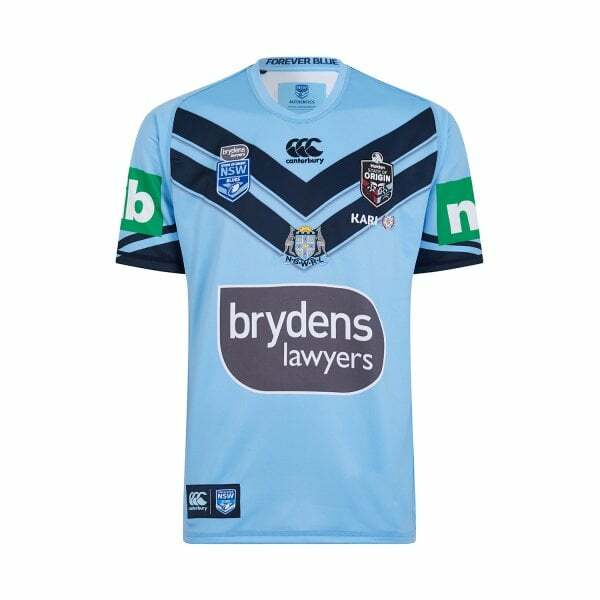 If you support the Blues in the State of Origin, our NSW Pro Jersey is a garment that belongs in your collection. If you’re a big guy, it’ll have pride of place in your training wardrobe as well. That’s because our 2019 Pro Jersey comes in 5XL to 6XL for all those larger than life players out there. This is a quality training garment featuring VapoDri technology to keep you cool and dry and team and sponsor logos and a replicated on field 2019 design to show everyone which side of the border you’re from. An Origin classic available in all sizes including Big and Tall, secure yours now from Canterbury.